I’m going to be honest with you. There’s an area of herbalism that literally keeps me awake at night. It’s the reason why I’ve resisted opening my own practice; the reason why I’ve been reluctant to market my own products; and the reason why I’ve hesitated before becoming an entrepreneur. This area of herbalism is ethics – and it’s a real conundrum. Now, let me be clear: I think it’s wonderful to make an abundant living doing what you love. Money is an exchange of energy, and herbalists should be well compensated for their work – there is nothing honorable about struggling to survive. However, I’ve also grappled with this question of ethics for over 10 years. I’ve questioned the integrity of practitioners whose clients are also their customers; the validity of herbal products marketed as panaceas; and the cut-throat competitiveness of corporate herbal businesses. Rev Adodo’s message awakened in me this decade-old frustration – a gnawing feeling that something in the industry just isn’t quite right. As an industry, I see herbal medicine as being in an oscillating structure. On one hand there are the corporate big businesses where making money overrules ethics and integrity, and where herbs are marketed to generate revenue rather than to educate. On the other hand, there are the poverty-stricken herbalists struggling to survive and either giving away their skills for free, or resorting to pushing products on their clients and using gimmicky diagnostic technologies rather than sound science and skills. Unlike other healing professions, there is no standard of ethics by which herbalists are governed. It is up to each practitioner, each entrepreneur, to uphold their own integrity and their own ethical practice. And the truth is that many fantastic herbalists struggle as entrepreneurs. Anyone who has owned a business can attest to how difficult it is to generate profit – all that money that’s left over after you pay rent, utilities, employees, bills, taxes, marketing, etc. And since many herbalists struggle to make a profit running an herbal business or practice, the ethical guidelines of practice suddenly become secondary to simply surviving as an herbalist. The knowledge industry is a fantastic place to make a living. However, this industry more than any shows us just how polarized herbal medicine has become. On one hand are the numerous herbal colleges that offer great knowledge with reasonable tuition, but only confer credentials that are ambiguous to the average person. On the other hand are the degree-granting programs that offer a BSc or MSc in herbalism and a provide high caliber education, but have astronomical tuitions. Unless you are affluent, I honestly don’t know how you can pay back 80K in student loans while simultaneously finding the seed money to start an herbal business. 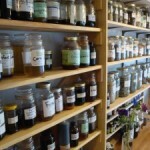 One great example of a “hybrid” education is the Vermont Herb Center for Integrative Herbalism, which offers high caliber education with accessible tuition, and has also partnered up with Goddard College to provide BA and MA options. Hopefully this is the beginning of a new wave of affordable and degree granting herbal programs. I like to think of magazines and journals as the gatekeepers of knowledge. They decide what information will reach the masses and how it will be presented. Again, these herbal journals seem to operate in a dichotomy – academic, science-based journals on one hand, and traditional, experiential-based journals on the other. And, again there seems to be an exception to the rule. Plant Healer: A Journal of Traditional Herbalism publishes articles from a wide range of authors – both scientific and traditional in origin – and seeks to bridge the divide between two polarized approaches to herbalism. Hopefully another sign of more great things to come. 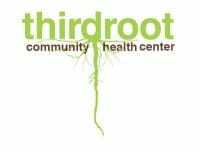 Perhaps the most socially proactive example of alterative business structures is Third Root Community Health Center based in Brooklyn, New York. This vibrant health center offers a wide variety of health consultations ranging from acupuncture to herbalism, as well as multiple complementary therapies such as yoga and meditation. To fully appreciate this unique initiative, view this video that showcases this socially-driven twelve-member co-op. With a worker owned co-op, all decision-making, profits, voices, and resources are equally shared in a democratic process among all members of the co-op, and the importance of capital is subordinate to labour. 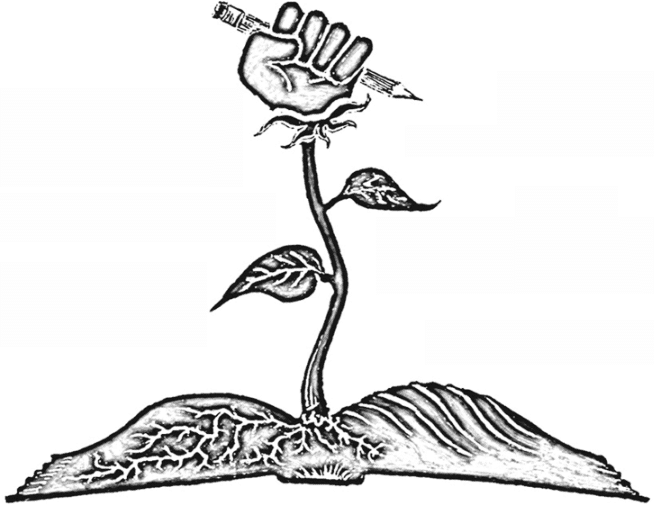 Therefore this initiative can be seen as a labour-ist rather than a capital-ist structure. This is a brilliant business model that functions like a regular CSA (community structured agriculture), but instead of supporting farmers, you’re supporting herbalists. The USDA’s definition of CSA is a “community of individuals who pledge support to a farm operation so that the farmland becomes, either legally or spiritually, the community’s farm, with the growers and consumers providing mutual support and sharing the risks and benefits of food production.” I love this definition when applied to herbalism – the chosen herbalist becomes the community’s herbalist, and the community invests into the herbalist’s journey replete with highs and lows. I also love the idea of both producing medicinal herb baskets for the community as well as receiving a basket from my community herbalist that was specially crafted according to the sesaon. A win-win arrangement. Two notable examples of CSH ventures are Goldthread Herbal Apothecary (left) who run a CSH from an herb farm and apothecary in Massachusetts, and Burdock & Rose (right) who runs a creative and artistic CSH from her home in Michigan. 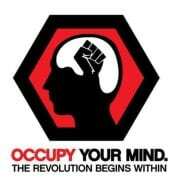 As the occupy movements encourage us to move away from empty consumerism and harmful profit structures, I challenge herbalists to occupy their minds and change their way of thinking about how to generate income. I challenge us all to step away from the oscillating structure of profit vs. poverty and create a new paradigm in which we are confident in our knowledge, resolved in our integrity, and steadfast in our ability to create a living as an herbalist. A paradigm where we work as one unified entity with a strong and clear voice. It’s time for herbalists to rise up and fully embrace the language we speak, the plants we use, and the path we take. Time for us to accept our true nature as scientists, thinkers, researchers and humanists. Time for us to adopt a new, more sustainable structure of business that allows us to be ethical and profitable. Time for us to embrace a revolutionary approach to herbalism. Excellent post my friend and excellent reflections on a deeply personal and passionate subject. I too have struggled with my herb practice and where and how to continue to fit herbal medicine (that is the passion that started the biz in the first place!) into it amongst so much confuse and angst on my part as an herbalist. I love herbs and how the work with and for the body and for years made no money doing what I loved, but never cared….yet I want to spread the goodness of herbs to more and more! But it is this same internal struggle that I have as I see “herbalist” poping up left and right, weekend herb courses and bam your an herbalist or people ‘using’ herbs for profit and banking on the word vs any actual true practice. Thank you for sharing in such a tangible, meanigful way to rekindle the need to spread that word! I dont usually read blog posts because i have so many to sift through, and the ones i do- i skim. but i read this one all the way through. I thoroughly enjoyed it and it gave me some ideas. 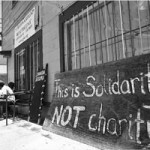 CSA and Non-profit. These are things i will be looking into in the coming months for sure. I appreciate you writing this, I am going to share it 🙂 Thanks again… Bring it down to the roots, Share it all as individuals.. we are not numbers. Soul Works! Great article, ideas that everyone needs to be thinking about. I have been studying herbal medicine through my family’s tradition since I was a small child. Traditionally there has been a strong sense of ethics that goes with the job, and I think it is very important that professional herbalists create and maintain a culture with high ethical standards. I also think it is important for clinicians and educators in the herbal world to participate in the process of science; for many years now I make a point of it to publish something scientific in a peer reviewed venue at least once a year. Next week, I will have medical students assisting in my clinic– fourth year students who, in their second year, did a unit on herbal medicine with me. Working with strong ethical standards has really helped me to gain credibility with the larger healthcare community in the area, which in turn is making an impact on how patients using herbal medicine are cared for. So glad to have this conversation happening! We all know that when enter the silent wonder of the natural world and wake up to the awesome vibrant life around us, money is the last thing we are thinking about! But Herbalists who are driven to share such beauty all work our tails off to do it! Years of study, hours of patient care, cost of ingredients….and we all live (happily) like mice in shoeboxes. Poppy Swap was founded to give herbalists an affordable resource to grow their dreams and to facilitate the development of community work models. At the dawn of a new year, all I can think about is developing new ways for herbalists to work together so that the joy and excitement for what we do grows. The path of “business as usual” can be a dark path and is not meant for those with a bright heart to walk it. Thanks for encouraging the inspired herbalists by providing these great examples and check out some of the amazing sharing that is happening on the Poppy Swap forum!!! I appreciate the candidness of your post. The first paragraph grabbed me, as I have similar hesitancies with selling & practicing. But its mostly because I’m just not drawn to making a business out of it. I’m more interested in consulting with other organizations and groups to move their work forward & educating on the community level. I love my apothecary, but it’s for my home/friends/community. And plus, there are so many great apothecary businesses and I just don’t want to repeat and compete. A fundamental aspect of this field is that its so complex. There is a huge variety of forms that people take, from the grassroots to professional. I personally don’t think herb business are in the wrong at all. In fact, I praise those bringing herbs into the mainstream. Because not everybody wants to interact with the mainstream. I mean, I don’t. Where I think the conundrum lies is thinking that ‘Herbalists do X and act like X’. Having a rigid form, a prescribed way of interacting with folks…now that’s dangerous. And boring. Wow, I am so inspired and invigorated by all these beautiful comments, and very excited to check out the organizations mentioned above. This is exactly why I love the herbal community so much! I’m excited to be able to showcase a few enterprising strategies for those who are eager to make a living doing what they love, but either struggle with conventional business models and don’t know where they fit in, or find themselves disillusioned by certain aspects of the herbal industry. There are so many lovely herb businesses out there – heck, I own one myself! I want to help herbalists feel empowered to forge a path for themselves and create the lives they want. Herbalism is so wildly diverse and complex, and I certainly think that is something to celebrate. I also believe that ethical practices are paramount whenever people’s health is concerned. Thank-you all for joining the conversation! 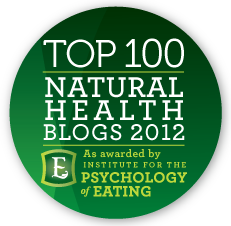 I only found this post due to seeing Plant Healer Magazine mentioned, which we thank you for. 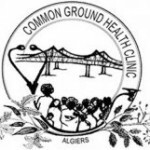 We do indeed seek a mix of clinical/scientific and heartful/folk, for the sake of understanding and effectiveness as well as inclusiveness and balance. And this “Revolutionary” post is exactly the kind of personalized, edgy, pushing the envelope articles on herbalism that we like to see submitted for consideration. Please considering furthering this story and others of yours, in original unpublished pieces for our wild souled readership. And thank you from Kiva and I for your passionate posts, an distinguished contribution to this work of awakening, healing and wholeness. I’m A Medicine Woman Too! Jesse – Thank-you so much for the lovely comment! I would be most honoured to become part of the Plant Healer family, and I will definitely submit something for consideration in the future. I greatly respect the work that you & Kiva do. 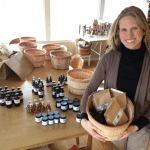 Your list of herbal initiatives is impressive – a wonderful example of living the dream! PS – Sorry for the delayed posting of your comment – it got caught in the spam filter, pesky thing. 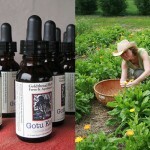 We have an herbal school and community clinic in Orlando. This post is perfectly written. Thank you so much! I have struggled with these ethics for years, having been a professional herbalist and had a herbal shop – and I am so glad to not be doing either now. Because I was always reduced to thinking about the money, and never making enough, and selling gallons of Echinacea when I didn’t think people should be using it in the way they were. Now I am keeping the faith, and trying to make a living in ways that I feel comfortable with, and I don’t charge for any herbal advice that I give. Everyone is different, and will find their own way, but it’s great that you are having this discussion. Thank you so much for this post…it breathes substance into the inertia that has plagued me since I first decided to step out on my own as an herbalist. I love it that someone else out there is on the same page as I am about the ethics issue. I have felt like such a failure- honestly! But I knew that I couldn’t turn a profit without marketing some outrageously priced herbal supplement that is tearing up someone’s rainforest or compromising a centuries-old way of life. But that seems to be what people want- that and to medicate symptoms with herbs rather than to embrace the paradigm of health that herbal medicine represents. I’m so glad to hear these stories. We’re certainly not alone in this journey, and I think many of us are facing the same struggles – how to uphold our integrity while doing what we love. I believe that the more herbalists come together to create and uphold our own paradigm, the more we’ll be able to regain our sense of balance with practicing herbalism as the powerful craft that it is. Keeping the faith that this is possible is where the real work lies. Lovely to hear common sense and equality raise its head. THANK YOU ALL for your professionalism and awareness of practicalities. Herbs and plants, are beauty and are given to the soul for intuition and wisdom, that is not usually gained through higher education and degrees, but through life and its experience. I send you love on your quest. I love this quote from Einstein: “Education is what remains after one has forgotten everything he learned in school.” So true! Intuition and wisdom come once you start building on the information you get from school through life experience. A great post, thank you! I liked how you organized the different models – a great way to begin sharing what herbalists are doing in response to similar concerns you outline here in different parts of the country. The more these models get out there, the more we can be creating the new paradigm you call for. I completely agree, Ann. The more people know that there are alternative business models out there, the more herbalists can become empowered to make a living doing what they love – especially if they struggle with the more conventional capitalist business models. Great post, lots to think about. I’m very new to herbalism. I actually participated in the Burdock & Rose CSA in Michigan that you referenced 🙂 I’d love to see more of those, it was such a great experience. Thank-you for the comment Wendy. And thanks for reading. Yes, more CSA’s please! Let’s bring back the community herbalist! Thank you for sharing your knowledge. I see the comments on making a living doing what we believe in and love; this thought keeps resurfacing; we know herbs are meant to heal …so as an herbalist you do not suggest to your clients that this is something that they will use for the rest of their life. ( Not the case with modern medicine, which creates a dependence and an opportunity to prescribe more medicine to help with the side effects of what you are already taking.) With this in mind it is a greater challenge to create a living . The co-ops offer such an opportunity to expand and specialize in what each individual does best….strength in numbers…knowledge unlimited …healing for the all…what a blessing. Diane – Yes, that’s exactly the conundrum – how do you build and maintain a steady clientele while simultaneously ensuring that your clients heal and eventually no longer require your services? That’s exactly why alternative business models such as co-ops can be so helpful for herbalists who struggle as capitalists. Thanks for your comment and thanks for reading! Wow! Thanks for the shout-out! I have been out of the loop for a bit just saw your mention. Your article raises so many issues that swirl about in my head as I continue to shape my own learnings and practice as an herbalist in my community in Michigan. I love the CSA concept that I’ve been offering for three growing seasons now. It’s a business model that can help move the herbs back into mainstream use, but it also has its limitations — financial, supply chain, etc. I will continue to shape and tweak my own offerings (blending CSA preparations with classes and individual consultations) in a way that best reflects my own personal style and relationship with the plants, my livelihood as an herbalist and the needs within my community. It’s a very dynamic process and a cool space to be working within right now — thanks for contemplating! I hope more people will take the risks and help create new ways we can bring back the herbs to our community — we learn from each other! Lisa – thanks so much for the insights! Until recently I was new to the concept of herbal CSA, and after having researching more about it I’ve totally fallen in love with the idea. Great to hear your perspective and experiences. Seems like blending different experiences is the way to go for an herbalist, or at least the way that offers the most likelihood of success. 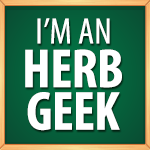 As Michael Moore would say… “a good herbalist is a generalist.” Thanks for sharing! Great article! I have been studying plants for about ten years and I never attended (or wanted to attend) a traditional college or degree program (like BA or MA). I ran around on my vacations and took workshops here and there, I doing herbal first aid at festivals and leading plant walks etc. But eventually I wanted to go further and I wasn’t sure how. I studied a bit with Susun Weed, read a million books. Talked to the plants. I read into some of the acupuncture schools and Tai Sophia but I do my paid work as an social justice/ environmental activist so even if I changed my opinion about the whole college thing it was just really out of my realm of possibility. Eventually I found a school and some teachers I really love and I was fortunate enough to be able to transfer my job position from the east coast to here in the Bay area. I am currently in my third year of school at the Ohlone Center (www.ohlonecenter.org) which is the Clinincal Internship. I get to see clients each week and have supervision with a teacher who reminds me to check pulses and other things I forget about…and we have case review with our peers and I never knew any of this existed. My advice to folks thinking about making herbalism the work that financially supports them, is to find a teacher you love and consider all of the options. One of the things I love about attending a physical school is I get to see and watch a ton of other herbalists and ask them questions and see what steered them towards growing herbs instead of teaching, or medicine making instead of taking clients regularly. I think in the future I would like to be a teacher and a writer but in the mean time I really love seeing my clients every week. Wild Love to all you other plant geeks! Colelea – thanks so much for sharing your experience and insights. I think that’s great advice about finding a teacher that resonates with you and taking it from there. I also really appreciated going to herb school and being immersed in the knowledge of plants – spending time with plants, learning how they grow, and being surrounded by herbal mentors. The two schools I went to were also amazing and CSHS has a fantastic garden, which is a huge bonus. The problem I encountered when entering the workforce (both as an employee and as an entrepreneur) is that most herb school credentials are ambiguous to the average person. This wasn’t a problem when I lived in California or Arizona where herbalists have a strong presence, but now that I live in Canada I find that most people don’t even know what an herbalist is – the word is used synonymously with homeopath, naturopath, and holistic practitioner. This is when it would be very useful to have formal credentials to rely on such as MSc in Phytotherapy. But I’ve also looked into these programs and find them to be WAY out of the realm of financial possibility – to invest so much money into a profession that requires you to hang a shingle and start a business (which also takes a lot of money) is just not feasible for the vast majority of people. This to me is a major conundrum – how do you make a living as an herbalist if you can’t leverage your credentials without going into further debt doing so? At the end of the day, I agree that you have to find the best possible herb teacher/school you can, uphold your own integrity, and forge your own path. But I also believe that the herbal community is capable of much more than this, and until we rise to the challenge of providing high quality education with affordable tuition and formal credentials that graduates can leverage in the real world, our profession will either remain as a fringe health care hobby, or as an adjunct to other “real” professions such as ND’s, MD’s, Acupuncturists, etc. Ironically, most herbalists know much more about herbs than all these other health care practitioners put together. For a follow up to this article, please check out this conversation on the ethics of herbal medicine with Mélanie Pulla and Dr. Ann Armbrecht of the film Numen: The Healing Power of Plants. I appreciate and agree whole heartedly with what you say here. As someone who has taken a meandering road to learn herbalism from apprenticeships to correspondence courses, and have ended up where I am now, about to graduate from one of those terribly expensive schools. I wanted better understanding of the science behind it all, human anatomy, botany, and the medicine. I love the school. There is no value on the education gained. However, I do have to now find a way to survive. To pay back my astronomical loans with outrageous interest rates, and still afford to just pay for necessities. At the same time I have learned these invaluable lessons to not only preserve this knowledge and pass it on to others, but to Help People. But can I justify charging enough to cover all my bills? I by no means wish to feed into a cycle where I extort others looking for health and peace of mind. I’m hoping I can find a healthy balance between the two. Of course currently I’m also just hoping I can find a job, any job, when I graduate. Hi Jackie! Thanks so much for sharing your story! I completely empathize with where you’re at – having the honor of preserving and sharing this sacred knowledge, but also facing the dilemma of how to leverage your skills and expertise in an ethical way that also allows you to manifest abundance in your life. In my opinion, this is where sacred commerce comes in and learning the necessary business skills to share your particular gifts with the world in a highly ethical AND profitable way. I’m a huge fan, student, and affiliate of Leonie Dawson – she teaches sacred commerce in a way that is completely accesible while also providing the necessary tools for launching and growing a soulful business.